This high interest speaking and listening activity about a legend from Galicia, Spain is for higher level Spanish classes - level 3 plus. El punto frío is one of Playz RTVE mini-series based upon the legend La Santa Compaña. There are 6 short chapters/videos in the mini-series El punto frío which are found on Youtube. 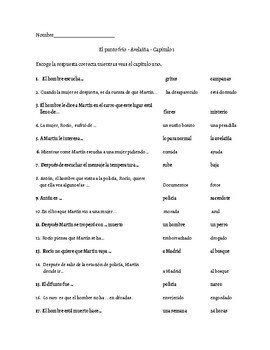 This 20 page file includes comprehension and opinion questions in Spanish for each chapter as well as prior to each video review and discussion questions in Spanish. Some of the pre-discussion question activities also include searches for more information about topics found in the videos. 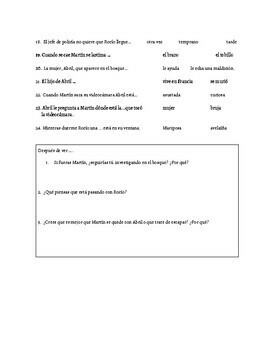 Answer keys for the comprehension questions are also included.